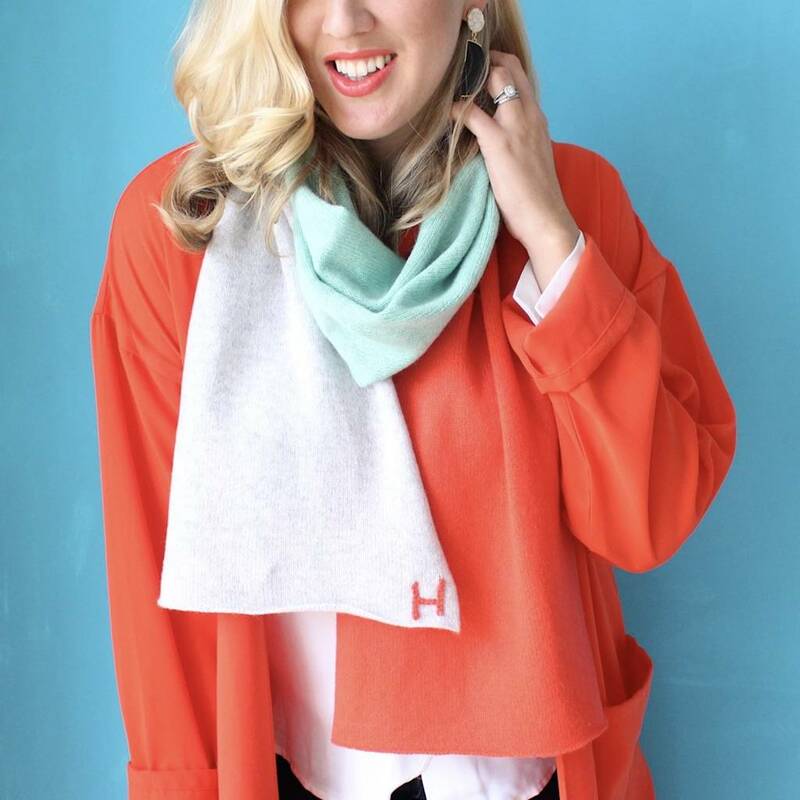 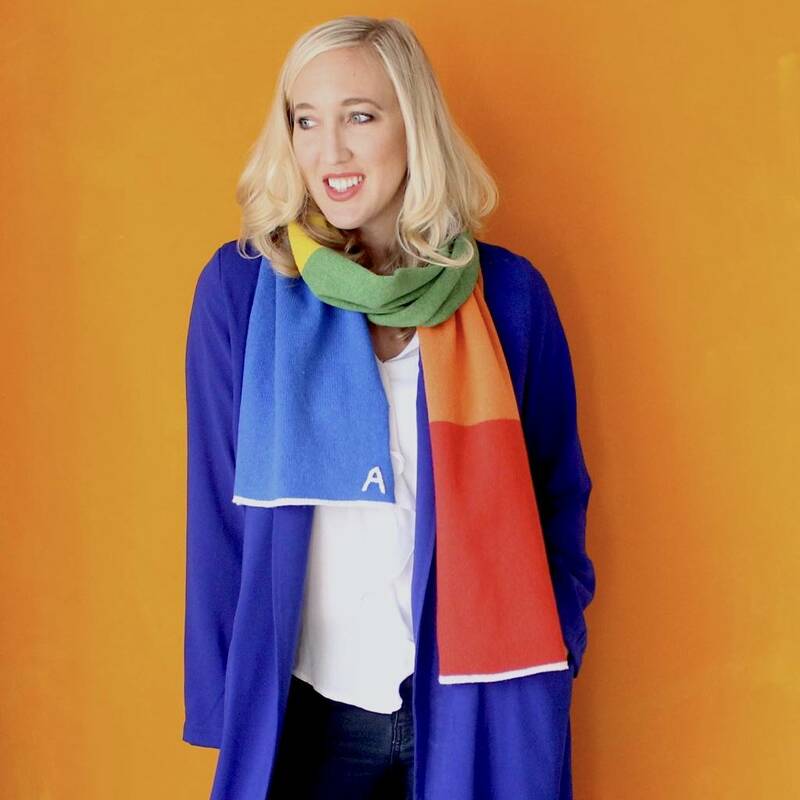 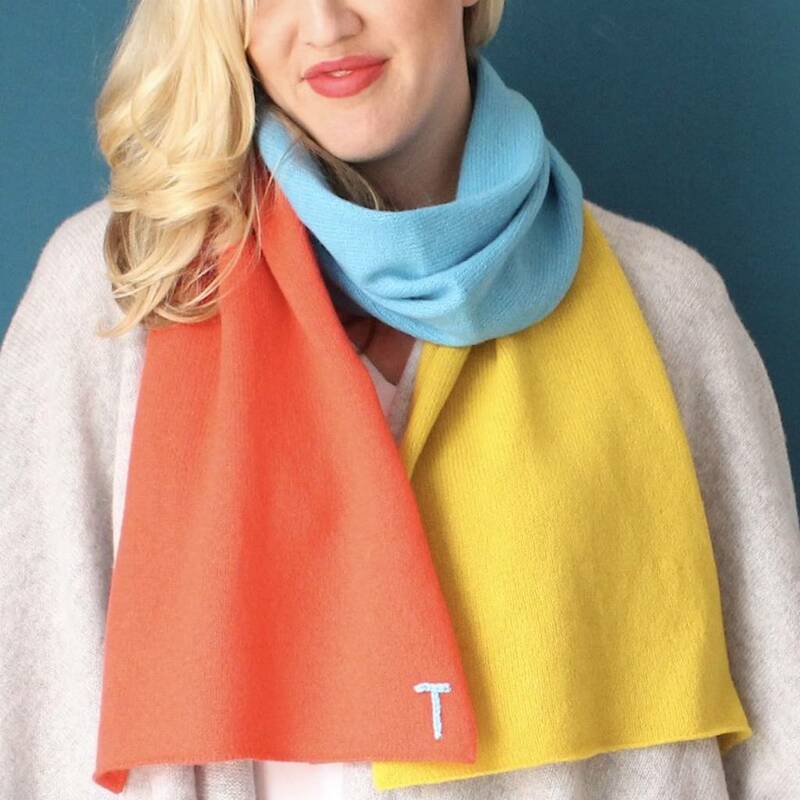 Knitted in Sussex this beautiful colour block scarf is hand crafted using pure British spun lambswool. 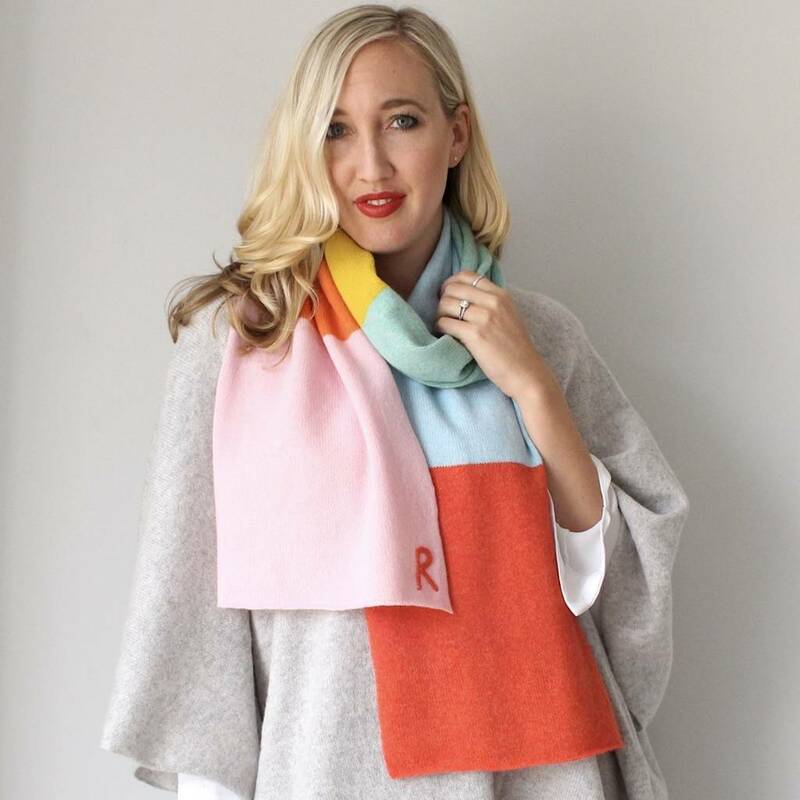 Fall in love with this unique scarf, available in two sizes you can choose from a standard scarf size or an oversized blanket scarf. 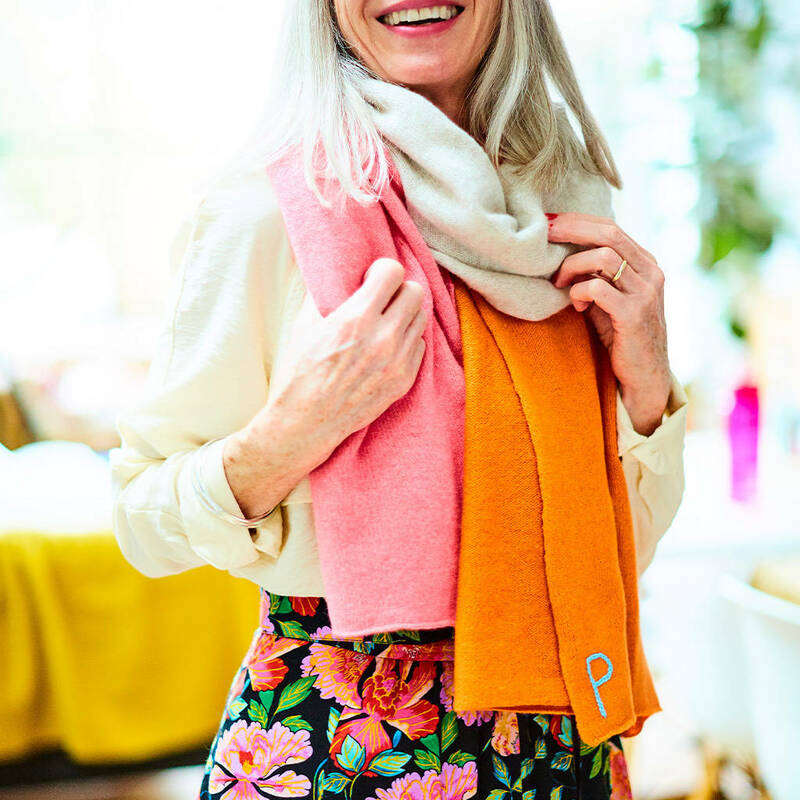 Choose from one of the many mouth watering colour ways, this scarf is sure to catch attention and add a stylish splash of colour to any outfit. 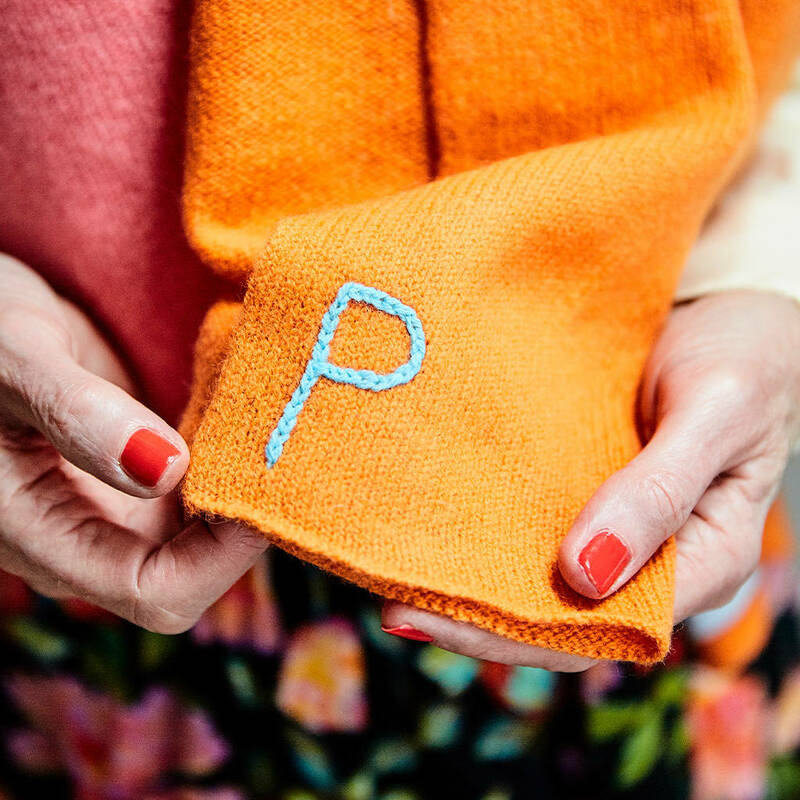 You can have your scarf personalised with a hand stitched initial making it the perfect present for any loved one. 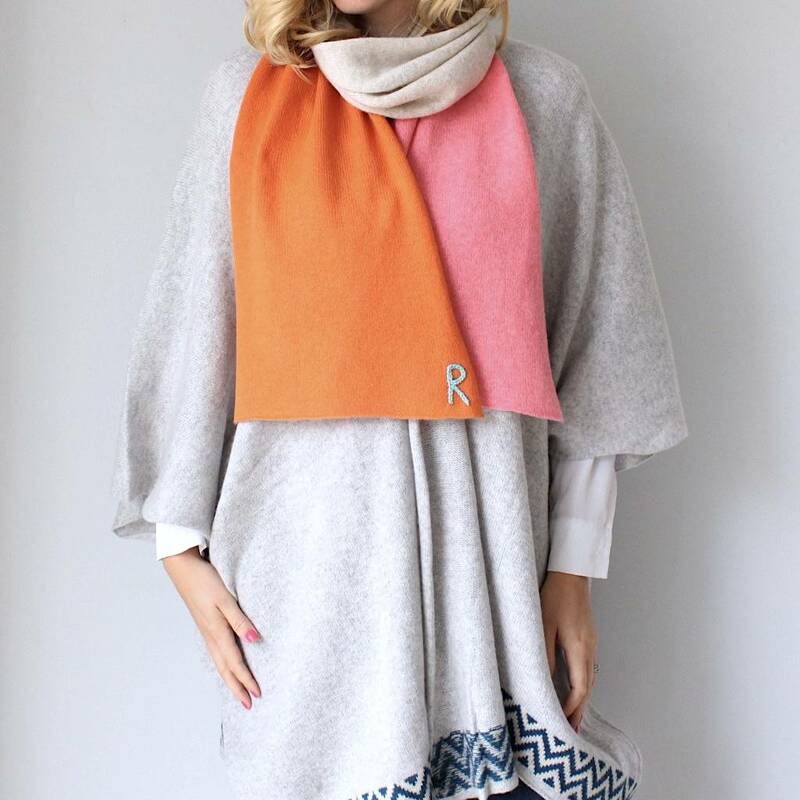 Made in Sussex using 100% British spun Lambswool.